Hall of Heroes Comic Con 2018 Photos, Part 2 of 2: On a Wing and a Prayer « Midlife Crisis Crossover! The weather, first and foremost, destroyed outdoor plans for countless Hoosiers and organizations all weekend long. Central Indiana found itself under a solid two-day deluge from western to eastern border. Our backyard lawn looks fantastic now, but a state park foray was out of the question. Relatives had already begun to drop out by the time the cancellation was made official. Anne had already been bummed from a hard week at work and was disappointed by the development, but yelling at God about the ruinous shenanigans of our uncooperative planet rarely result in an immediate thundercloud disintegration. Then came surprise illness. Never fun, never welcome, and never when you need it, which is never. Again, though, some things can’t be helped. It was clear upon awakening Saturday morning that a six-hour round trip was out of the question for us. I figured Hall of Heroes could keep our prepaid Saturday admissions as a donation of sorts, and was prepared to leave it at that. It sucked and our moods weren’t great. Later I peeked at their Facebook page and noticed they’d posted a few live videos — gray skies all around, but plenty of smiles and no rain-out. I was glad for them in a sense, but that didn’t help our moods. By mid-Saturday illness began to fade a tad — not altogether cured, but improved. We talked about the possibility of doing HohCC Sunday instead, provided that we were careful and didn’t overexert. We normally don’t do cons on Sunday because we’re either at church or recovering from a Saturday con experience. We’d previously cleared out that Sunday for the reunion. With that dismantled, Sunday was technically free if we were up for it. “NO REFUNDS OR EXCHANGES”, warned the killjoy disclaimer on our tickets that threatened to dash our last hope. I called the convention’s box office, explained the situation, and asked if exchanging Saturday for Sunday would be possible under the circumstances. 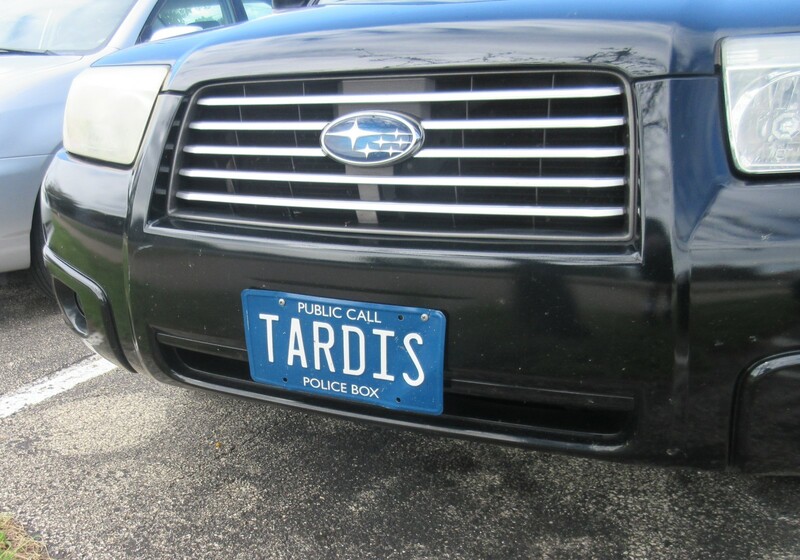 They took my name and number, and said to check in at Will Call on Sunday and they’d see what they could do. Three hours later, based on the scant info I’d given to them, I received an email with revised tickets. Hall of Heroes were officially deemed awesome lifesavers in our household that day. Thankfully no horrible relapse occurred overnight. Sunday we were on our way. All we had to do was ignore any and all ill omens along the way, such as the two stalled cars we passed or the rains that continued flooding Indy. 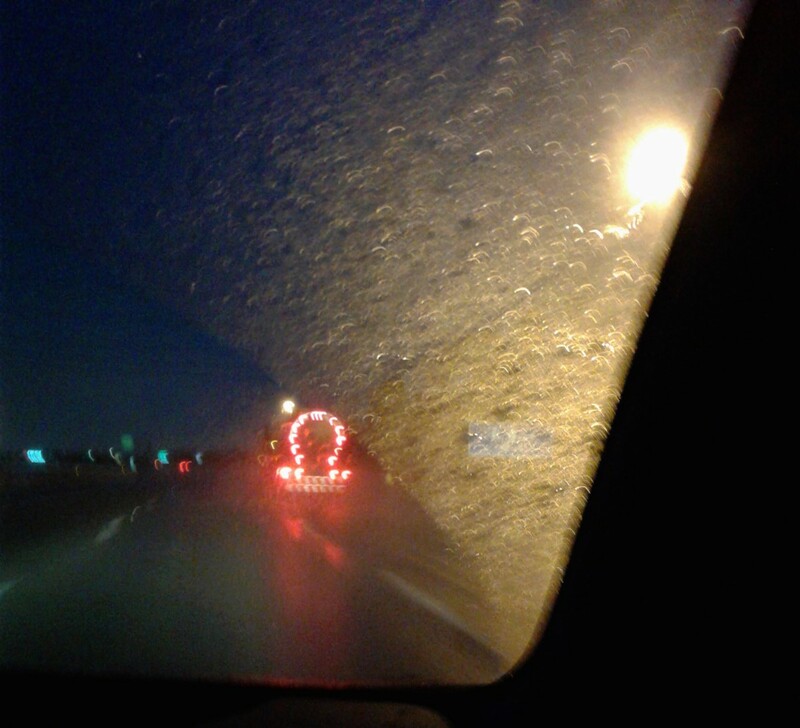 A semi with omega-shaped taillights was not encouraging. About 80-90 miles down the road we left the storms behind. We arrived in Elkhart shortly before 9:30, half an hour before showtime. We parked in an empty public lot two blocks west of the Lerner Theatre and walked beneath ugly clouds to Main Street, cordoned and ready for another day of festivities. We previously did an art-walk around downtown Elkhart back in 2016. 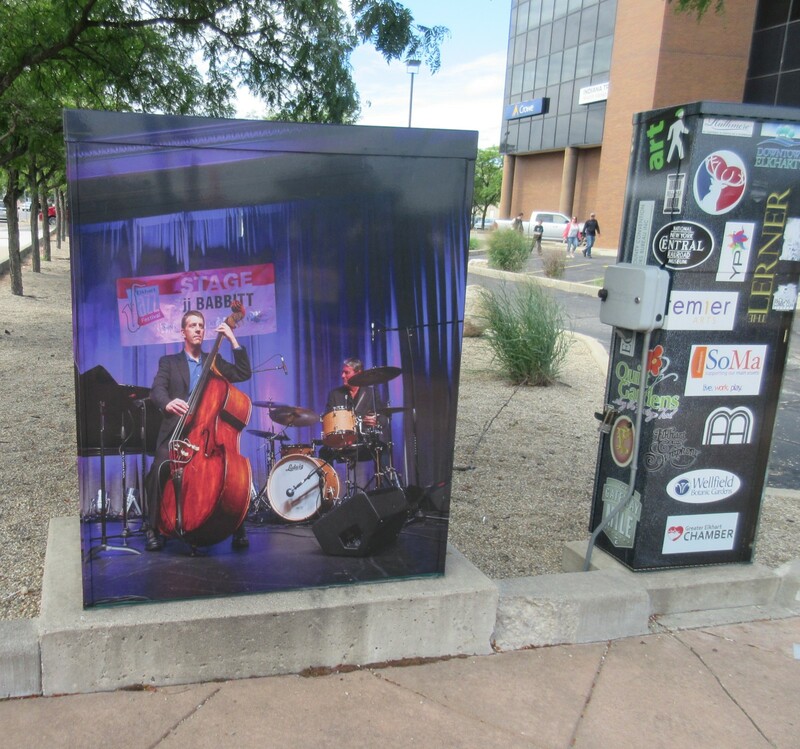 We noticed a few new decorations added since then, such as this jazzed-up electrical box. Friendly volunteers at the Will Call tent traded us a pair of Sunday wristbands for our tickets and sent us to the entry line. Soon, fun would be ours for the having. The light crowd on a Sunday morning. Hundreds more joined the scene by early afternoon once all local church services dismissed for the day. 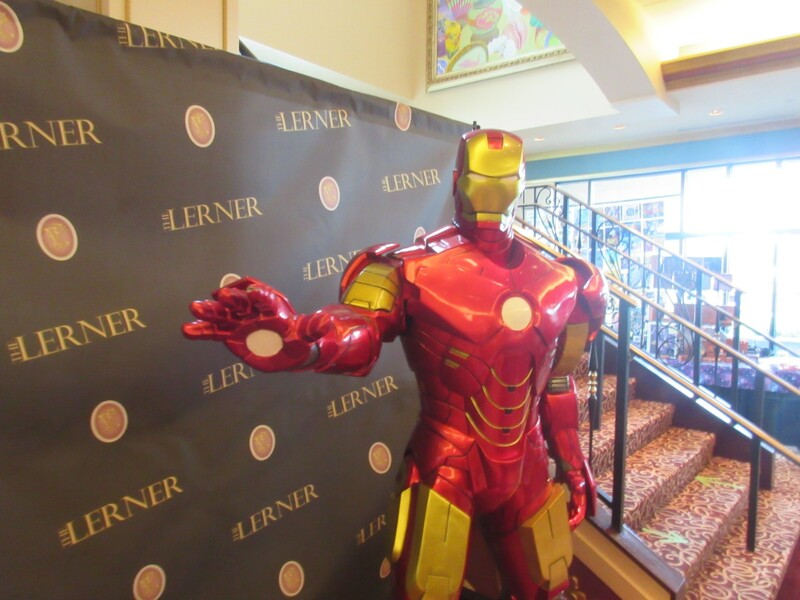 Last year’s con had been contained entirely inside the Lerner. The space was interesting and the art ‘n’ architecture had been fascinating to behold, but everyone had found themselves jam-packed wall-to-wall and in danger of arousing the fire marshal’s ire. Hundreds had to be kept waiting outside for any of us to depart and trade places with them. In an early March with lingering winter keeping temps in the 30s or lower, the outdoor experience wasn’t pleasant. 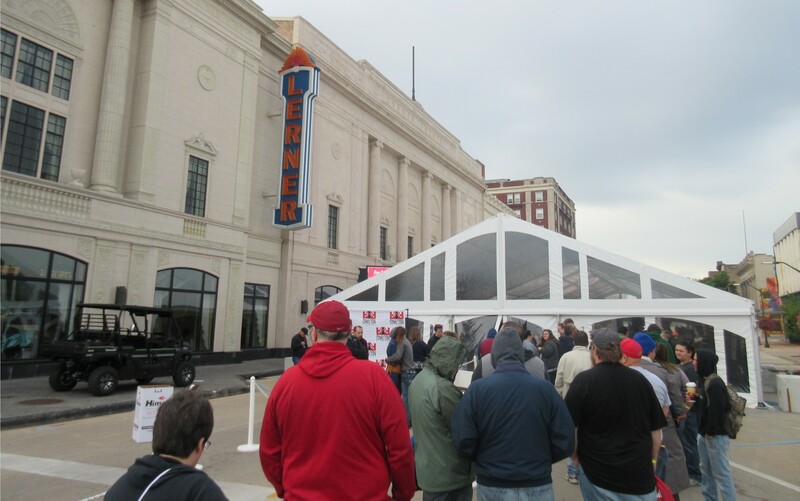 This year they rethought that part and not only moved the show to September, but they also expanded onto Main Street, with a large tent containing over two dozen vendors, an extra stage, and a selection of local food trucks and concession stands. In short, they effectively co-opted the model used each year by the famous Superman Celebration down in Metropolis, Illinois. As long as the weather cooperates, we’re big fans of that model. When we arrived this year, temps began in the mid-50s and inched upward throughout the day — basically twice as warm as last year. Better still, it never rained while we were in Elkhart. Northern Indiana in general and the con in particular had been blessedly spared. I hadn’t bothered to check the weather and had worn shorts ill-suited for the mid-50s, but that’s my fault, not theirs. VIPs were escorted inside promptly at 9:30, with us General Admission folks exactly half an hour later. Once inside, we headed straight for the most important attraction of all: the bathrooms. We are old now, and both three-hour drives and chilly outdoor waits have bigger drawbacks than they used to. Then we headed straight for the line to the celebrity autograph room. 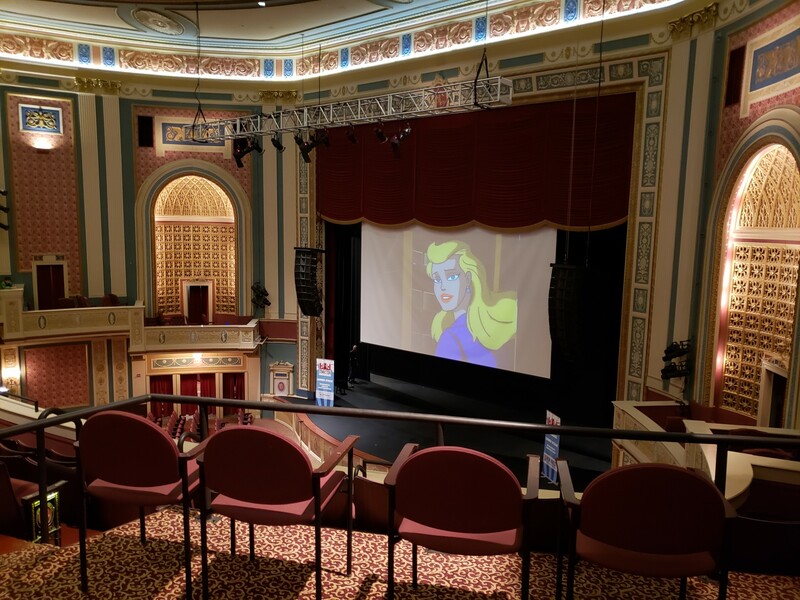 Once again the line reached back to the upper balcony of the Lerner stage, where fans could watch programming while they waited. Now showing in this wondrous setting: 10 a.m. cartoon mini-marathon featuring Batman: The Animated Series. 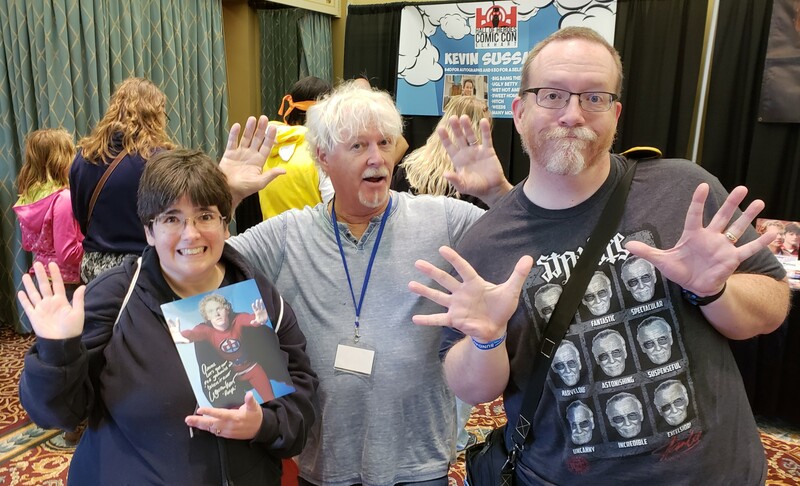 We’d already met two of the celebrity guests and didn’t watch the shows in which two others costarred, but as kids Anne and I were both huge fans of TV’s William Katt, star of the hit series The Greatest American Hero. Those were dark times when super-hero TV shows were an extreme rarity rather than the overstocked commodity they’ve become today, even after the success of Christopher Reeve as Superman. Leave it to genius showrunner Stephen J. Cannell to see a hole and fill a hole in the pop culture landscape. The plot was brilliant to us: bright schoolteacher Ralph Hinkley stumbled across an alien spaceship that gifted him with a caped super-suit but failed to give him the instructions before they took off. Hilarity and life lessons ensued as Ralph tried to figure out its many random powers, which resulted in him flying into every brick wall in town, cringing as bullets bounced off him, turning invisible in short spurts until losing concentration at the worst times, and apologizing for breaking so many collapsible props. As kids we ate it up and thought highly of Mr. Hinkley. We also remember him from such films as House, Carrie, the late-’80s Perry Mason TV-movies, and Baby: Secret of the Lost Legend, a near-forgotten dinosaurs-live predecessor to Jurassic Park. William Katt was our #1 reason for showing up, and would’ve been our biggest regret if we’d had to suffer the heartbreak of missing the con. Katt was a patient and ebullient gentleman, seemed happy to hear Anne also waxing eloquent about his mom (actress Barbara Hale, who’d played Perry Mason’s assistant Della Street for decades), and — in a surprising moment that warmed my heart — became the fourth actor we’ve ever met who knew about jazz hands in general and the late Bob Fosse in particular. I had no idea he’d done Pippin (see also: Barry Williams), but now I do. But our HoHCC experience didn’t stop there. Other fine folks in the house included longtime comics writer Tony Isabella. I’d met him twice before (most recently at Indy Pop Con 2015), but figured third time’s the charm. Everything’s been coming up Tony lately ever since one of his creations, DC Comics’ own Black Lightning, was adapted into his own TV series for The CW. 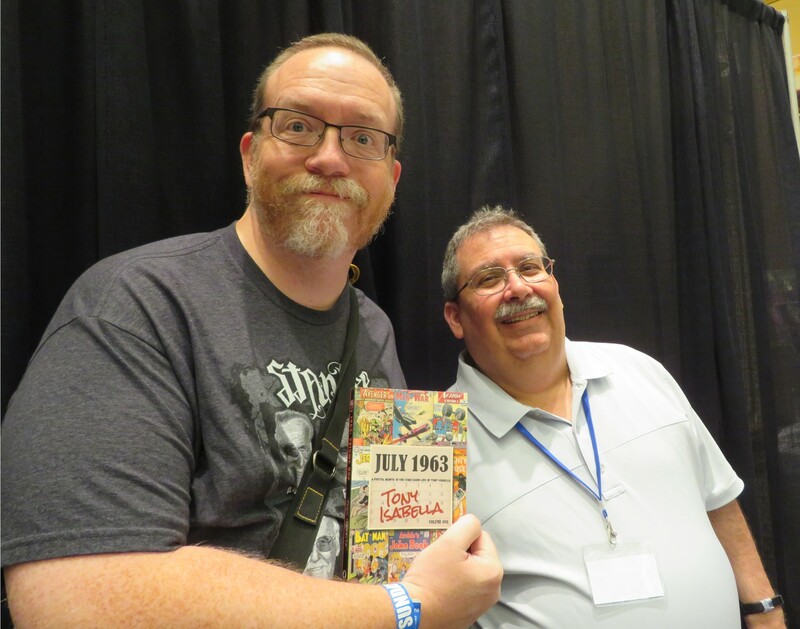 He has a new book out, volume 1 in a series called July 1963: A Pivotal Month in the Comic Book Life of Tony Isabella, in which he plans to read and review every comic book published the same month as Fantastic Four Annual #1, the comic that changed his life. We attended part of his 11 a.m. Q&A with Hall of Heroes owner Allen Stewart. Among the topics of conversation were his uniformly positive experiences with the cast and crew of Black Lightning; his undying love of Godzilla; that time he hung out with Sinbad, the first actor ever to don the Black Lightning costume on TV; and the joy of seeing Lawrence Fishburne play Bill Foster in Ant-Man and the Wasp, a character Isabella later helped upconvert into a superhero named Black Goliath. (The editor refused to let him reuse “Giant-Man”.) Isabella also confirmed that the residuals for Black Lightning’s appearances in video games (three and counting) are significantly more awesome than his comics residuals. 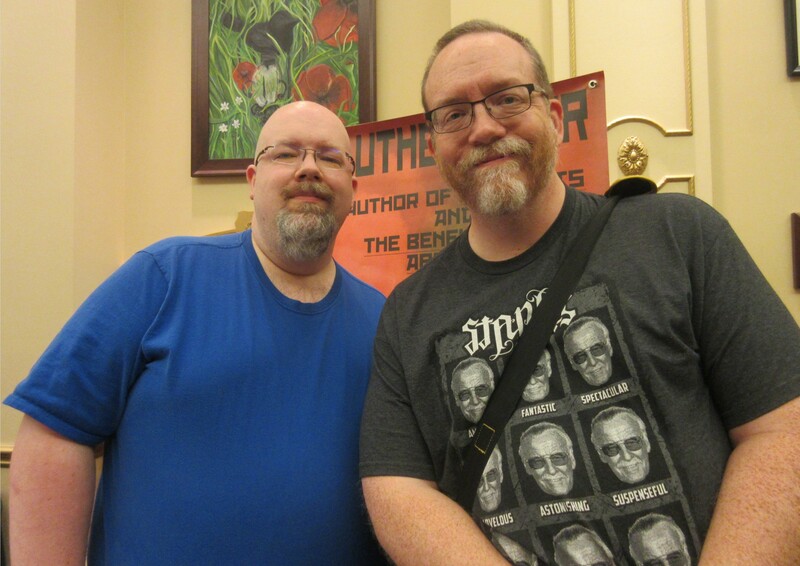 Also up for an MCC reunion: Luther M. Siler, self-published SF author and fellow WordPress user. Previous crossovers include Starbase Indy 2015, C2E2 2016, and Indy Pop Con 2016. As it turns out, Siler had a great time at Hall of Heroes and took far more cosplay photos than we did. 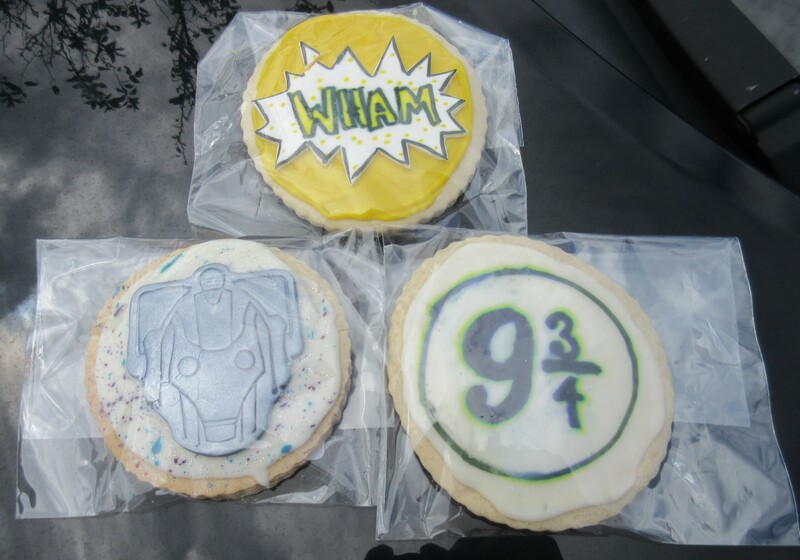 Joining the ranks of upstanding geek snack vendors were Mini Delights Bake Shoppe, who offered brownies with tiny character toppers and a lineup of iced sugar cookies that weren’t excessively sweet, and were thin and crispy instead of thick and chalky. 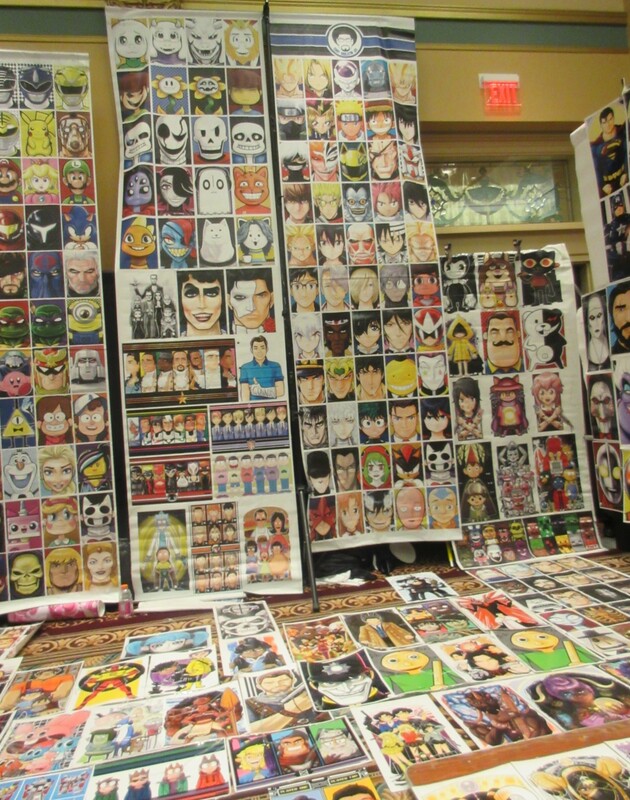 It wouldn’t feel like a real con without Terry Huddleston, one of the most recognizable ubiquitous artists in the Midwest convention scene. For lunch we adjourned to the outside vendors’ block near the Main Street Stage. The winner of my money: Ron’s River Dogs, because sometimes a solid hot dog is just the thing for a festival atmosphere. 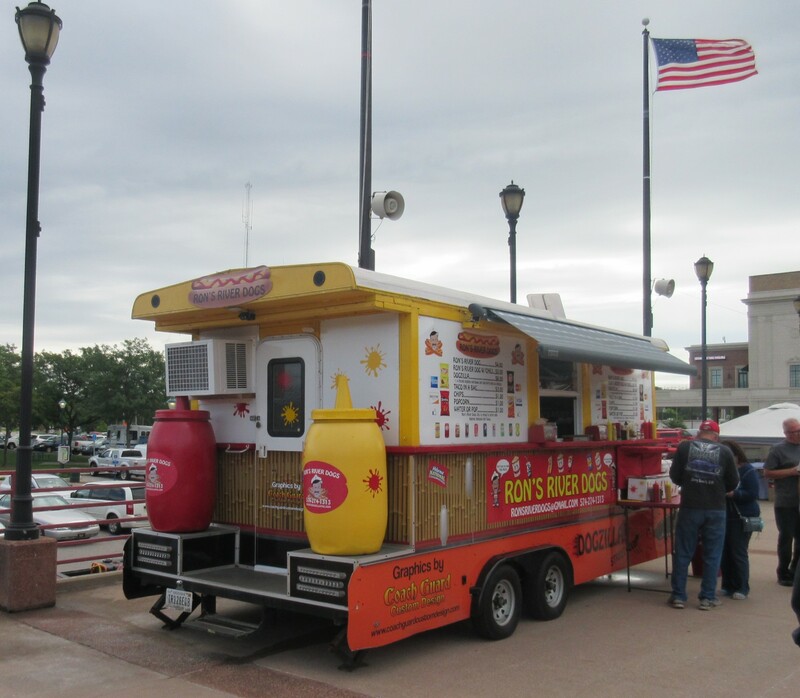 I recommend the Dogzilla, a quarter-pound chili dog. From the optional toppings at their fixings bar, I added shredded cheese, jalapeno mustard and dried shoestring potatoes. 11/10 would gulp down again. The Main Street Stage schedule said the 11-noon hour would feature a local act called Wesley and the Crushers. 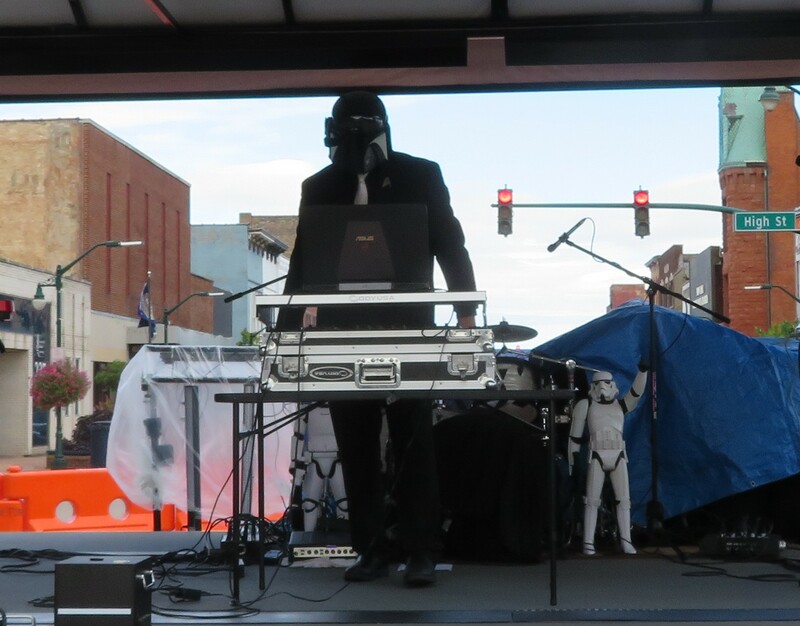 Their website claims six members; we saw only one DJ in a Mandalorian helmet. For DJ stylings he laid down the beats fine, but I’m not 100% sure he was them. Unless he was Wesley and “the Crushers” were his equipment and toys. We returned indoors for one last event: a noon Q&A with John Schneider, star of TV’s The Dukes of Hazzard and Smallville. 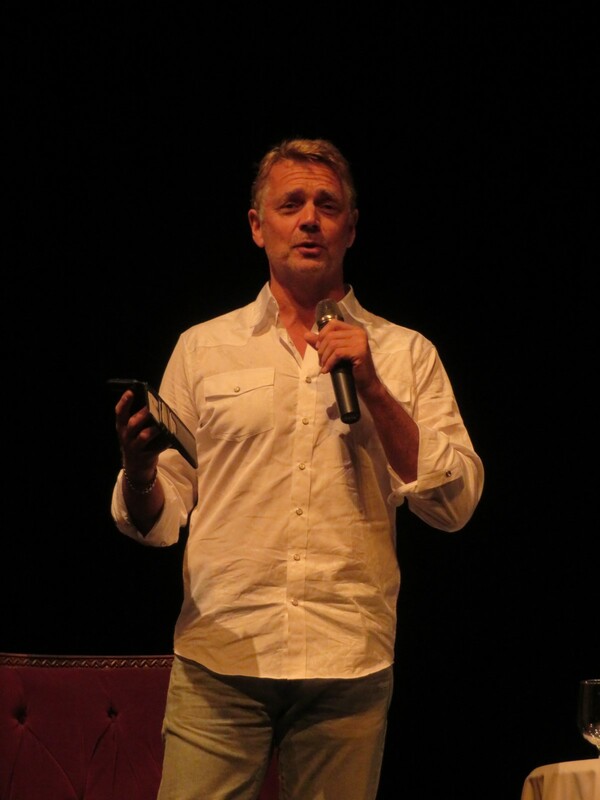 He’s costarred in Tyler Perry’s The Haves and the Have Nots for five seasons and counting, and continues to record and release new music independently through Louisiana-based John Schneider Studios, whose Facebook page he insisted everyone go and like — several times tongue-in-cheek yet not insincerely. Anne had previously met him at Wizard World Chicago 2010, but this was our first time seeing him answer questions live. The man, the myth, the Duke boy, the Pa Kent. Schneider was self-effacing, downright hilarious, and candid on any number of topics. He addressed the time he and Tom Wopat left Dukes for a while, reminisced about Christmas Comes to Willow Creek, honored the great father figure that was Denver Pyle, remembered how Burt Reynolds used to hang around the Dukes set a lot because he was close friends with James Best, swapped regrets about the pains of divorce with our host, and revealed that he appeared in the Smallville series finale basically for SAG minimum pay because they couldn’t afford to grant him one last series-regular paycheck. In all, hindsight aside, the Schneider panel in itself was a rollicking experience, though I’m kicking myself now for not asking him about the time he played a villainous country singer in an episode of Leverage. I’ll have to save that one for his next appearance. After his panel and the subsequent costume parade, we officially considered ourselves done for the day. Other events and Q&As were on the schedule, but we had one more three-hour drive ahead of us, and a work day looming large the following morning. We walked the two blocks back to our car, where a handful of other fans’s cars had joined us. It was cool to know we were in good company. About 60-70 miles down the road, we ran into those central Indiana rains, still dropping strong and dousing the rest of our weekend. It couldn’t touch the best parts, though. And that’s the con that was. Lord willing, physical health and budget permitting, we’ll see you next con, and maybe next year in Elkhart. 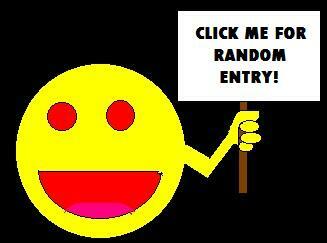 This was indeed a fun time and we’d love to do it again. 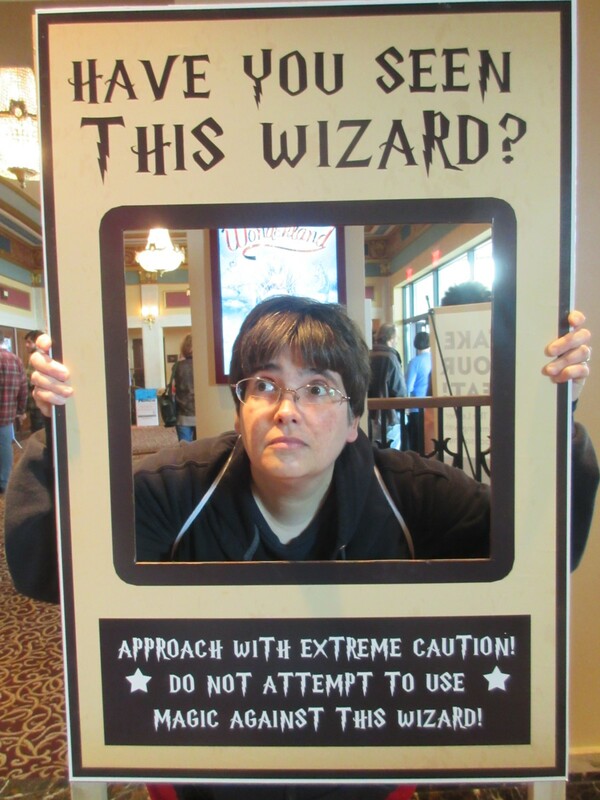 Imprisoned in Azkaban for the heinous crime of practicing signing “Mrs. Sirius Black” in a notebook 500 times. « Hall of Heroes Comic Con 2018 Photos, Part 1 of 2: Cosplay Dance Party!